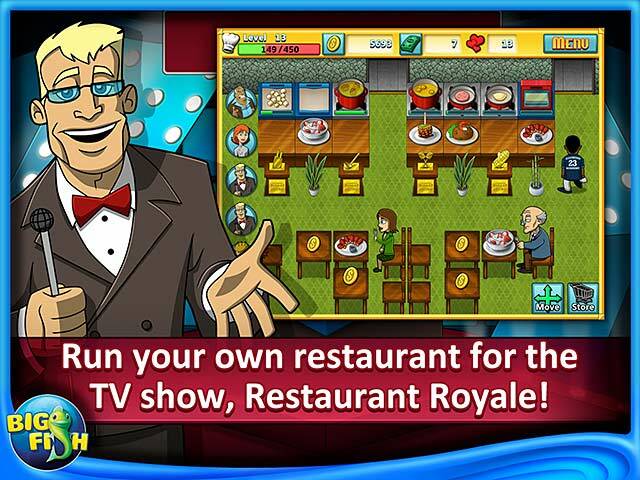 Run your own restaurant as you compete in Restaurant Royale. 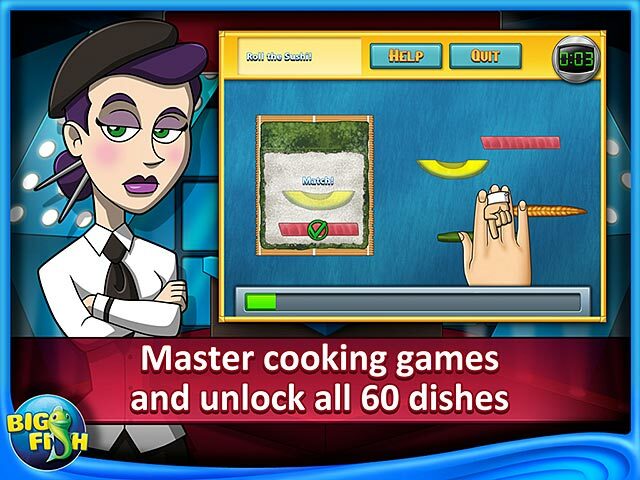 Master cooking games to unlock all 60 dishes. Boost your popularity with more than 100 unique elements of décor. Plant and grow your own spice garden. Complete daily goals to earn more Coins and Bucks. 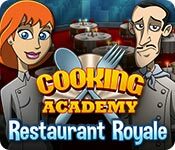 Cooking Academy: Restaurant Royale is rated 3.3 out of 5 by 54. Rated 5 out of 5 by HerHusky from Really addicting game I really love this game it is a great game to kill time only thing is that me and my boyfriend were playing on separated accounts then he ended up deleting the game and installing it again and he ended up logging into my account and now I have his account overlapped I am disappointed because I was at a high level and had alot of coins I don't know if I will be able to get my account this is unfair!!! Rated 5 out of 5 by shaemeek from Addictive and Amazing!! Awesome game! I finally found this game on Big Fish! I have this game downloaded on my Kindle FireHD and IPAD also. I love to cook so I like the mini games when trying to get the top score. Keep up the great work in this game! Only wish the designs and color of items would vary more. Rated 5 out of 5 by ckmoney from Fun for Me and the Kids! I let my son, who is six years old play sometimes, and we both love to play while I'm making dinner. It's sometimes very repetitive, but none-the-less, I can't stop playing it! When we level up or get to expand the restaurant, it's very exciting! Rated 5 out of 5 by Tygerlilies from Don't play it for what it isn't This is an awesome game, particularly when you factor in it is free. Yes, you can buy dollars to speed things up, but unlike some games that offer in-game purchases, this one does not require you to buy the dollars to gain them. You can complete challenges to gain dollars. It takes longer. In some cases, it takes A LOT longer to get to your goals than if you bought your way to them, but this isn't a time management game in the sense of urgency. If you are looking for something to play that forces you to be on your toes every moment of play (and I like those too), don't get this. This is something to obsessively check. This is one of those games for people who have a lot of other things going on, but still want to play a game. Spend 5, 10, 15 minutes on this game, set up your cooking stuff (and the mini-games are fun and varied) and then leave it. Close it, leave it up, whatever you prefer, and your projects progress without you, then come back and play a little more. This is more a cooking game for people who liked Plant and Fish Tycoon, but who hated how the "free" versions forced you to pay for the bucks to progress. It's completely fun, just don't play it like it's a quick thinking time management game and then get upset because its not. Rated 5 out of 5 by cookie_mama from i love cooking academy Its the best game I have played in along time and its so much fun!!!!!!!!!!!!!!!!!!!!! Rated 5 out of 5 by Vellencia from fun cooking game I like to play this game because this game is very good... i can cook a lot of foods and drinks too! Rated 5 out of 5 by BigAllen47 from "Fun Hidden Games" I like to have hidden objects in the kitchen. Rated 5 out of 5 by MissPrissyPants from Cooking Academy I just love it! Even though some of the mini games are hard. 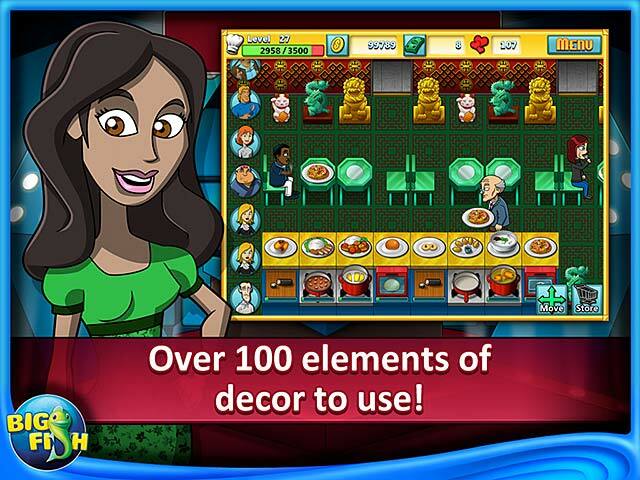 It's up to you to build the ultimate restaurant and win the competition! Master recipes and unlock culinary delights from around the globe in Cooking Academy: Restaurant Royale!